After just a few days in Destin and apparently one too many seafood restaurants, Mr. Picky began his campaign for the food that he can not live without-pizza. On the table in our condo, a little plastic two-sided holder gave the TV station list on one side and an ad for Merlin’s Pizza on the other. From the time he saw the ad, Mr. Picky had to try it, and after yet another meal of seafood, he was ready. 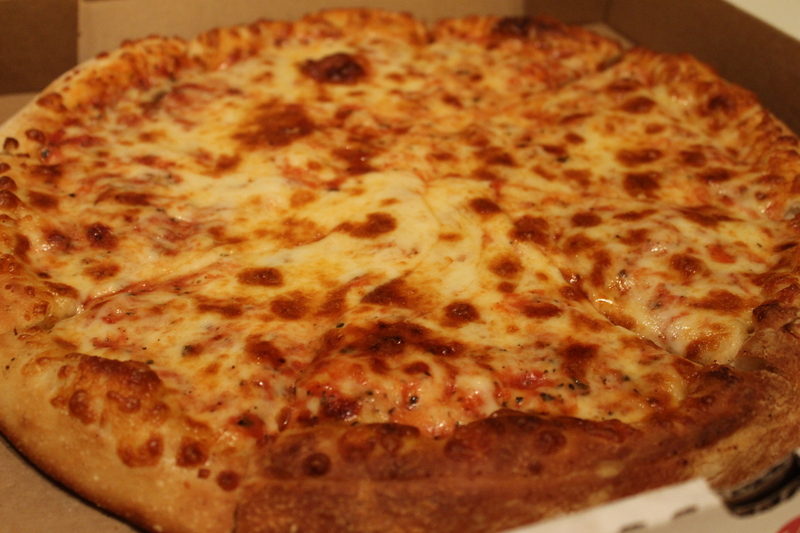 Since we were on vacation, and while on vacation, anything goes (almost), we ordered him a cheese pizza pie from Merlin’s one late, late night. The waiting was the most exciting part. At home, we live so far in the country that Domino’s doesn’t know that our neighborhood exists, but in Destin, the pizza will come to your door. That blew Mr. Picky’s mind. It was heavenly. When it arrived, it was as if the pizza kid was Santa. Mr. Picky got to open the door and pay the dude. It was great. Then, we opened the pizza box. 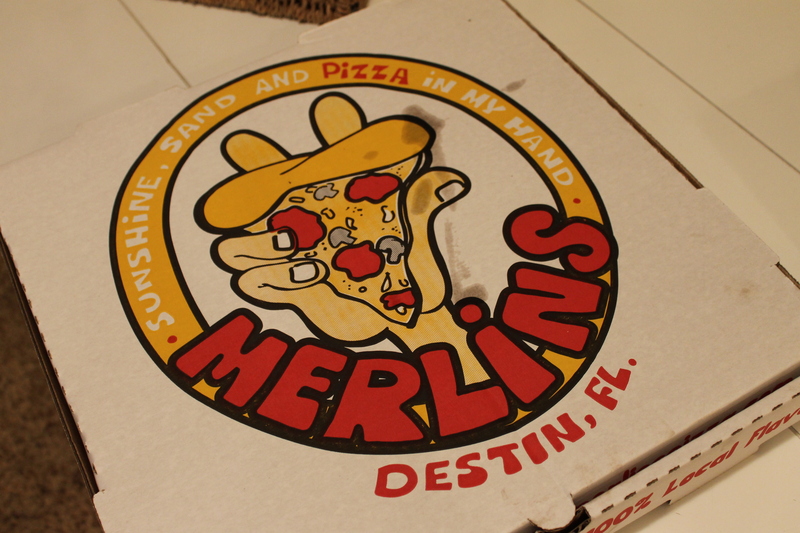 I thought Merlin’s pizza was great. It was a homemade pie with lots of fresh spices. Yum. 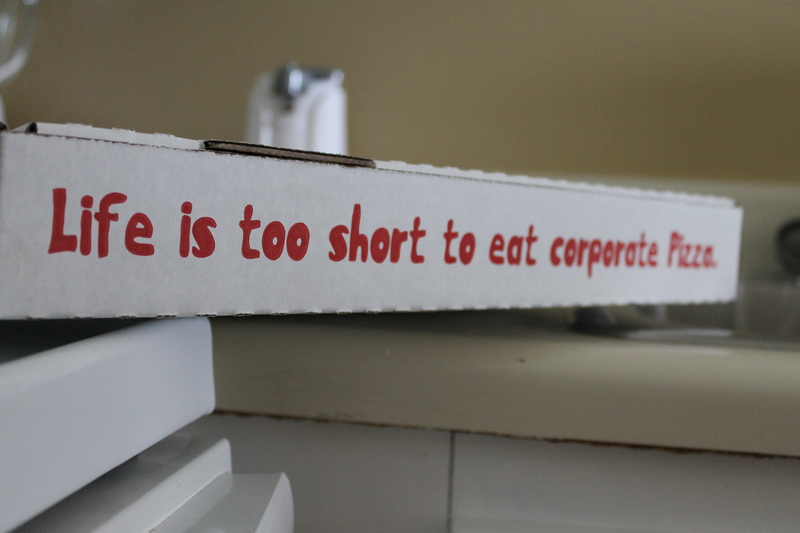 Mr. Picky, though, is a die-hard corporate pizza man. In his opinion, there is no reason to mess with perfectly good run-of-the-mill pizza, which he has eaten plenty of. He didn’t like it and was mad at the plastic TV station holder for the rest of the trip. Next time, when vacation comes around and a late night pizza is in order, I think we’ll stick to the plain Jane pizza variety. Not because Merlin’s wasn’t good, but because my one kid who lives for pizza wants “regular” pizza-preferably, the kind where all he has to do is open the door and pay. How do you keep two kids and one mom happy? The kids want pizza. Plain. I want pizza. Far from plain. I want mushrooms, onions, and artichokes. You know, standard pizza fare. Everyone is happy. For now, at least. Don’t you just love it when you happen to have all the stuff you need to make something that sounds really good? Rarely does it happen for me. I almost always have to make do because some ingredient is missing. Like, I will think I have mushrooms, and I will remember buying mushrooms. I know I almost always have mushrooms. I will have seen the mushrooms. When I go to the refrigerator? No mushrooms. I wish I had a dollar for every time I poured a bowl of cereal to reach into the refrigerator to find no milk. So I am totally amazed that I can share this recipe with you today. As I thought about what sounded good for supper, I knew that I needed to use the Italian sausage I bought earlier this week. I also figured it was time to use the pizza crust I had laying around. Then, the ingredients that sounded good just kept popping in my head, and believe it or not, I had them all. Preheat your oven to 400. On a large baking sheet, sprinkle a little corn meal on the bottom of the sheet. Spread the pizza dough over the corn meal as thinly as you please. When the oven is ready, prebake your crust for five minutes. Meanwhile, brown your Italian sausage until it is nice and done. Remove from the pan. In the same pan, add a little oil if necessary and brown your onions for about five minutes over medium heat. When they begin to turn golden, add the mushrooms for about two minutes. Turn your heat off, and add the garlic. Allow the garlic to warm through. Now, assemble. On your prebaked crust, drizzle some olive oil. 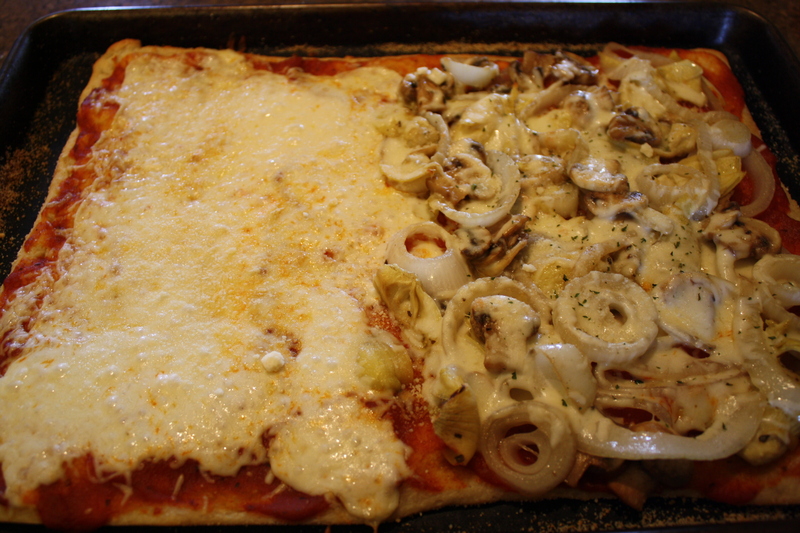 On that, layer the sausage, onions with mushrooms and garlic, quartered artichokes, and then the cheeses. Sprinkle a little salt on top for good measure. Bake at 400 for twelve minutes. Our pizza was better in the middle than on the edges where the toppings never seem to make it. My husband wasn’t a fan of the artichokes, but I liked them a lot. I didn’t drain my sausage, but I did drain everything else very well. 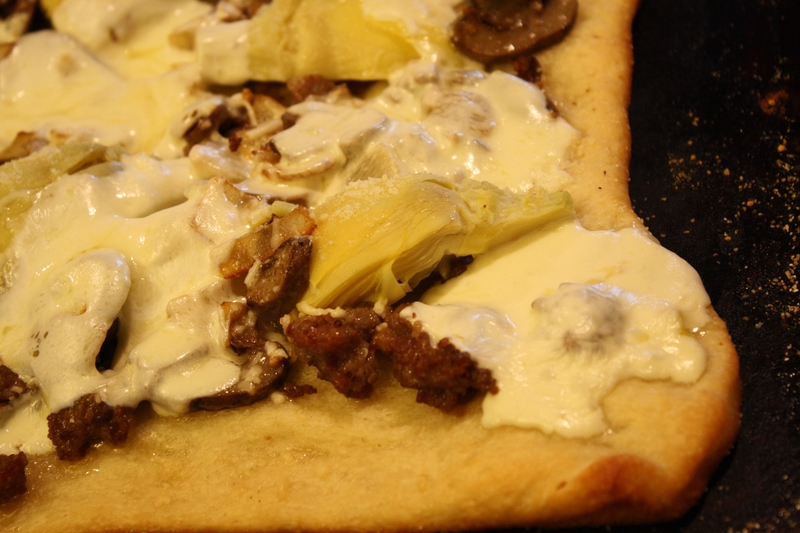 The middle of our crust was just a little soggy anyway, but it was soggy in a savory good way. I hope you everything you need to try this one day. Late one night, on a lonely road in the dark of night, my hungry, tired family wandered the open road aimlessly in search of sustenance. Well, maybe that’s a stretch. We were traveling unknown territory. We were hungry. We were tired, and we had been together way too long in the car. It was time for a pit stop. We were passing through Murfreesboro, Tennessee. We rolled the dice and picked an exit that looked like it might lead to food. We found a TGIFriday’s. An Arby’s. A random Mexican restaurant. In a college town like Murfreesboro, though, we decided to go for pizza. I think pizza in a college town should be guaranteed good. To serve bad pizza to poor college students would be cruel and unusual. Next to the China Garden, we found a pizza garden. Ahart’s Pizza Garden to be exact. We walked in, and I would have paid for the smell alone. Delish. The décor was a little lacking-think 1980’s pink rose wallpaper border and carpet that has seen better decades-but the staff was so nice and friendly. That and the promise of good pizza far outweighed a spot or ten on the carpet. We sat in a booth that had a little red duct tape on it, and we ordered. 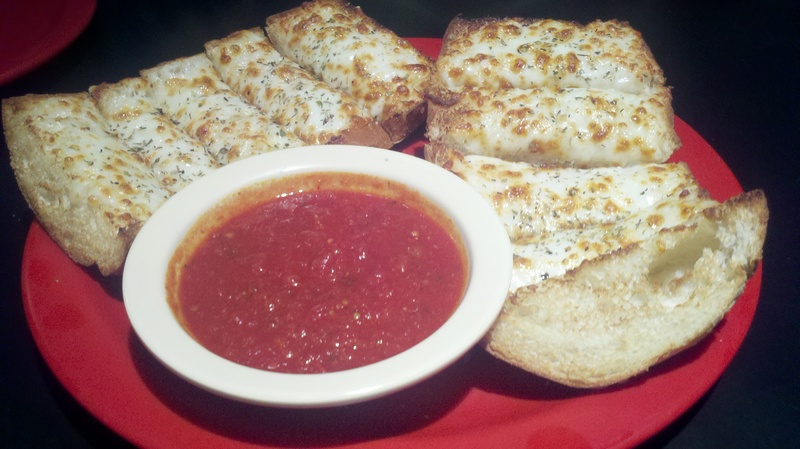 We started with the cheese bread. Yum. 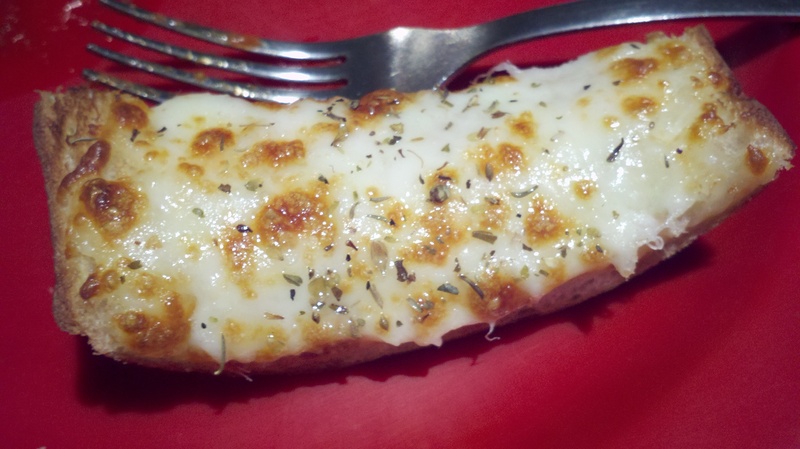 It was a warm combination of French bread and cheesy goodness. It hit the spot. I planned to order the Neptune pizza. The menu promised a crab meat pizza with shrimp, green peppers, black olives, and artichoke hearts. How could I go wrong? I asked the waitress about it, and she steered me to her favorite, the first pizza on the menu-the Quattro Formaggio. Trusting this total stranger who just happened to work at a pizza joint we just happened to find, I ordered it. It arrived, and I was not disappointed. 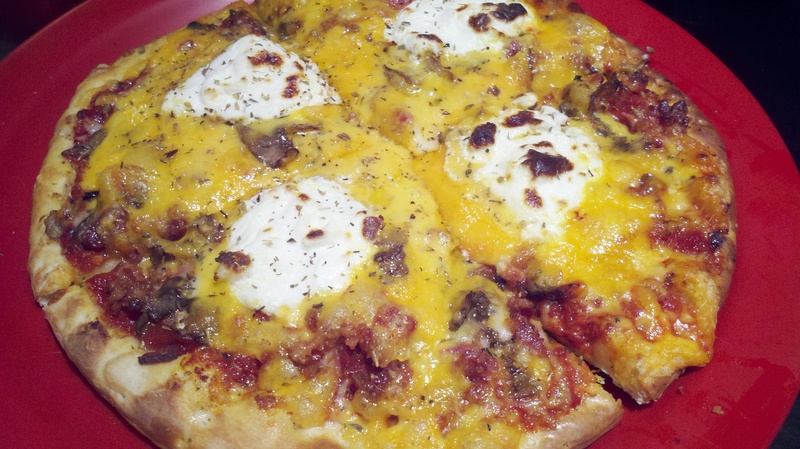 She had found for me a fresh pizza with Cheddar, mozzarella, provolone, ricotta cheese, bacon and mushrooms. The Cheddar was a little overwhelming, and the ricotta was in four weird piles, but it was still very good. The husband had the Buffalo wings. I passed on the taste he offered me, but I trust his word that it was good. 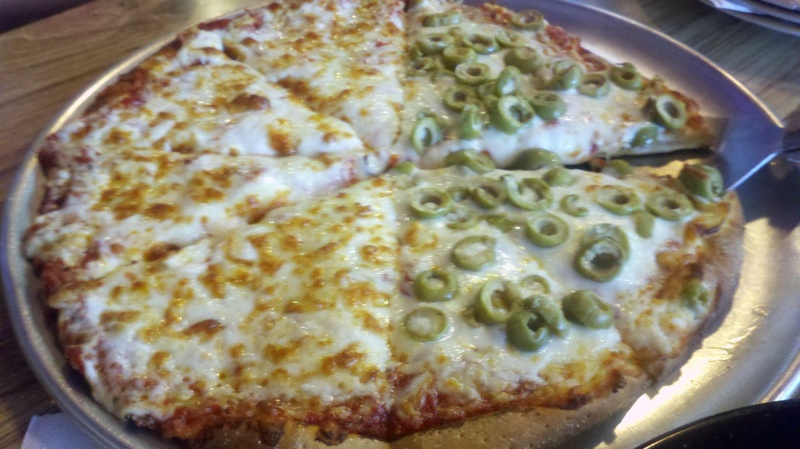 It wasn’t long after we arrived at Ahart’s Pizza Garden that we were back on the cold, lonely road. But, as we traveled on, we were full of good pizza making us able to tolerate the travel and each other a little better. Many moons and several hair colors ago, my husband and I lived in Memphis. We were both in grad school, and, in addition to working on a Master’s, I had my first teaching job. It was a fun time for us; we were out on our own in the big world. We were young, poor, and happy out of our minds. Today, we are not as young, not as poor, and still happy every day. Occasionally, a moment will remind me of our time long ago in Memphis, or I may even get to relive the moment like I did today. Today, my two kids, Picky One and Little Helper, and I visited the Birthplace of Rock n Roll to tour the Pink Palace Museum. Since it was a barely busy Monday, we breezed through it pretty quickly in time to eat a quick lunch. I used my phone to check out restaurants in the area while ignoring the pleas from the back of the car to eat at Burger King or Chuck E. Cheese. No way that was gonna happen. My rule? Do not leave town and eat somewhere that you could eat at while at home. The first promising place on my phone’s list? The wonderful Garibaldi’s. Garibaldi’s is a Memphis pizza joint with three restaurants around town. It has received many awards and rightfully so. The food is awesome, and the prices are cheap enough for two poor newlyweds like we were. Really, they fed me and my husband many a time between study sessions. Today, I got to share Garibaldi’s with our kids. We started with the Italian salad. I used to eat these all the time during lunch breaks during class way back when, and it was every bit as good today. The salad is simple enough that it could easily be made at home, but I guarantee homemade couldn’t be this good. 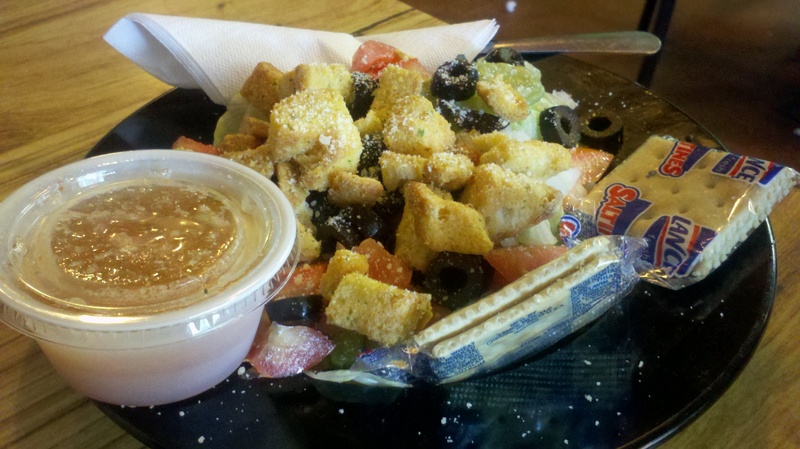 One thing that lends to its awesomeness is the Italian dressing. Devine. It is one of my favorite salads ever. I agree. It was great to walk down memory lane with my kiddos and to relive a little Memphis memory.